Here we go! Our first fundraiser for the new little one features some lovely pieces by Gail Pittman. The ruffled bowl is just so sweet! 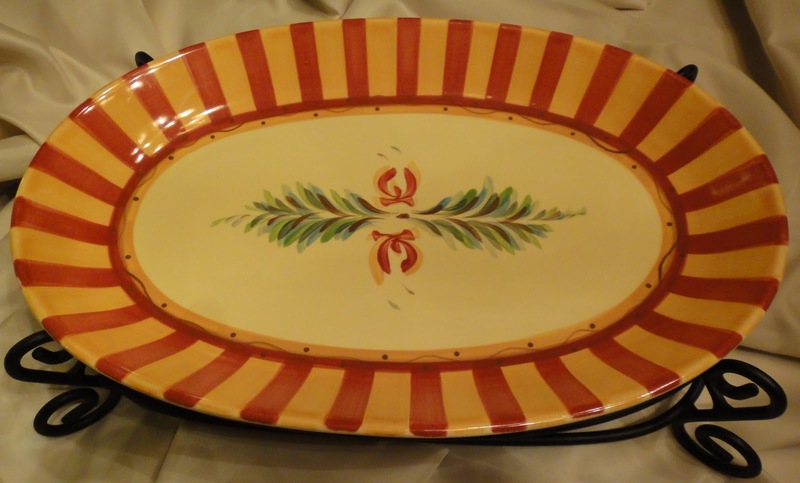 Perfect for a side dish, fun for chip dish and extra special with flowers as a centerpiece! Next we have a really special platter with iron stand. 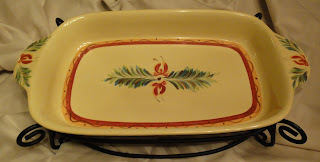 The platter is wonderful for serving meats but just as nice for cookies and treats! 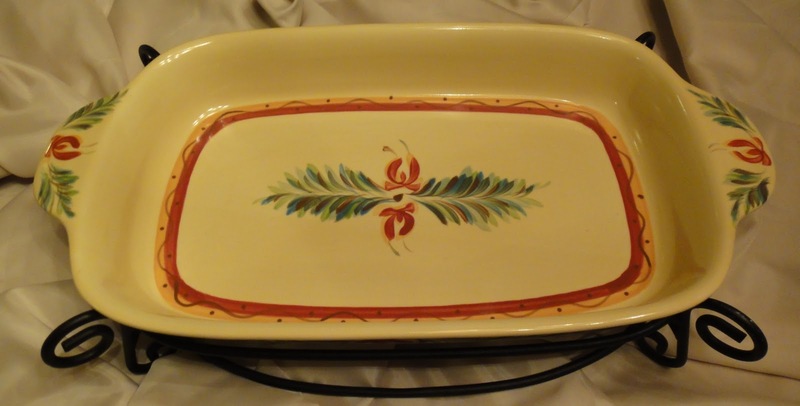 The casserole dish with iron stand is large enough for enchiladas to serve 6! It makes your mid week chicken spaghetti extra special! Last up is a beautiful cruet you will want to leave out all the time keeping your "evo" close at hand. All of the pieces have been beautifully cared for! This set is valued over $250. For a donation of $5 you will be entered to win the full set! Drawing to be held LIVE via Skype on January 1 2012! Click on the 'Donate' button above to donate your $5 (or more if you like :-) Be sure to leave your name and email or Skype ID if you would like to view the drawing on Skype! Thanks so very much in helping us help a child!